Stand up to Trump and the GOP! 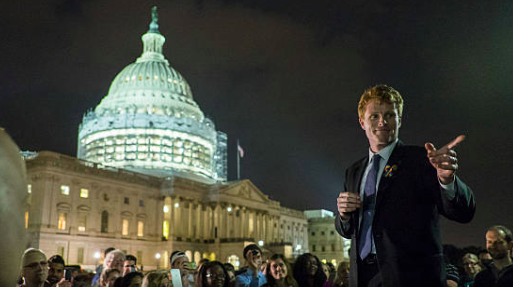 Join Congressman Joe Kennedy and our grassroots 'Kennedy Travel Team for Victory', as we travel to support democratic candidates in critical races around the Commonwealth. Click here to sign up to join the Kennedy Travel Team to canvass for Democratic nominee for MA State Senate Paul Feeney in the Bristol Norfolk Senate Race - the Dems have held this seat but it is a difficult district. We need to do everything possible to ensure a Republican does not pick up this important seat in the Massachusetts Senate. Canvass launches at 10 am from the Feeney HQ in Mansfield. Meet in Mansfield at 9:15 am to check in. Carpools will launch from Newton earlier - email contact@newtondems.org to learn more.